In the next few minutes, you should receive an email from Modern da Vinci (newsletter@moderndavinci.net) that contains a confirmation link. This is just a safety procedure to make sure you entered the correct email address, that a hacker hasn't stolen your email address. << Just click the link when you get it. Make sure you click it right away so we can send you the free bonus. 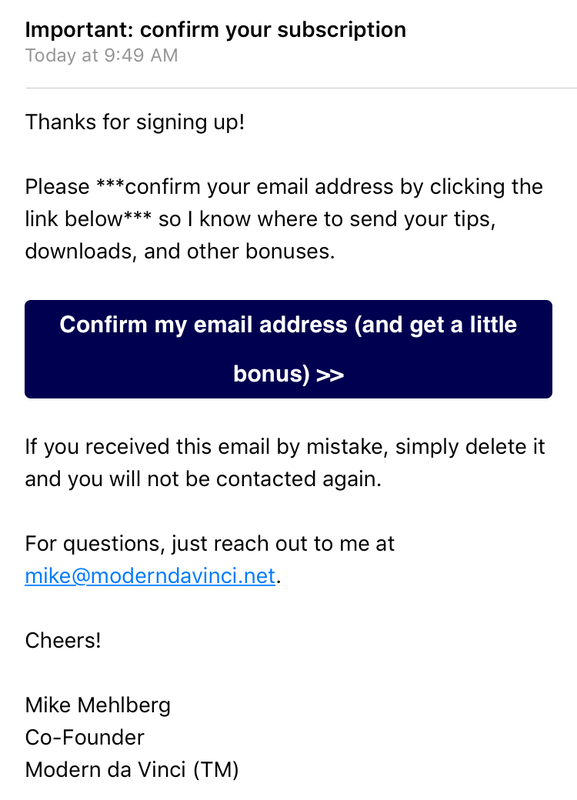 If you don't click the link, we won't email you again. If you don't get our email in a few minutes, your SPAM folder may have accidentally eaten it up. 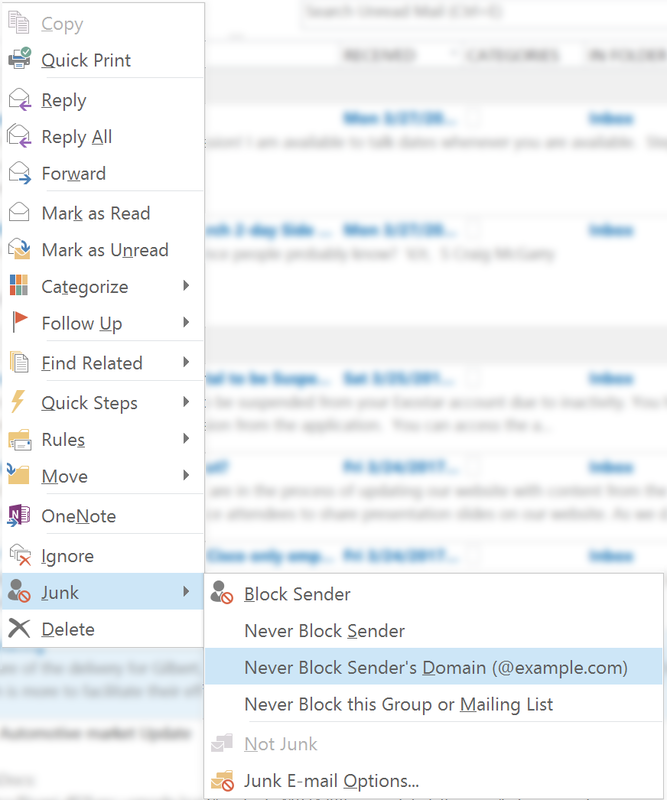 You can whitelist our email by clicking Junk -> Never Block Senders Domain on Outlook. If you use Gmail, simply move our email to your "Primary" tab. We recommend you do this anyways, so you don't miss our weekly coaching tips.